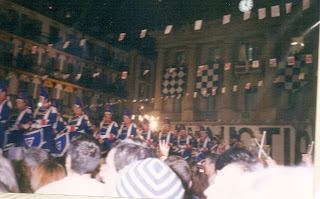 On the night of 19th January and the 20th January a festival with character happens in San Sebastian. The moment not to miss is at night. In the city center, and specially the Constitution Square holds major events, with the raise of the city flag and the San Sebastian march play. Then thousands make a parade along the streets of the city dressed as cook or soldiers, making the festival a picturesque event.